The development of healthy calves through the pre-weaning period is important both for ensuring the animals’ longevity and keeping rearing costs at an economically viable level. 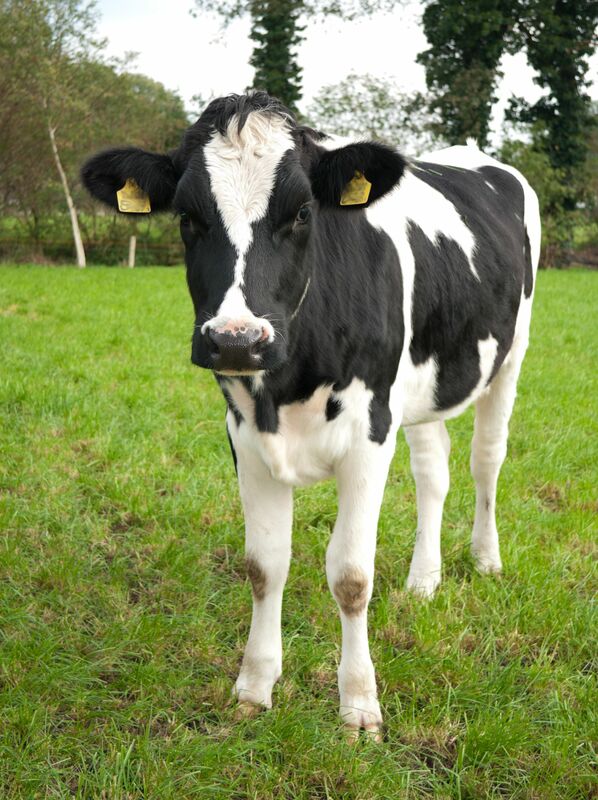 A single case of pneumonia is estimated to cost £43 per dairy calf. Early detection of calf pneumonia improves the success rate of treatment and reduces the spread of infection; however the early signs of the disease are difficult to detect. One recommended solution to this is to use detection of an undifferentiated fever as the trigger to initiate treatment. This early detection, when the pneumonia is at the initial viral stage, may mean that treatment with NSAIDs is possible rather than the antimicrobials required once the secondary bacterial infection has developed. This randomised trial aimed to compare the efficacy of NSAID therapy to antimicrobial therapy for the treatment of undifferentiated fever, presumed to be caused by pneumonia. The study employed real time monitoring of calves to identify those with fever using an ear-canal temperature sensor: the TempVerified FeverTag. The FeverTags were set to measure the calf’s temperature every 15 minutes and to activate at a fever threshold of ≥ 39.7°C for a sustained period of 6 hours, at which point the LED would flash for 6 hours to draw attention to the calf. 154 calves, aged between 0 and 10 weeks, from two Holstein dairy herds, were enrolled in the study. Of these, 83 calves were identified, by means of the FeverTag, as having a fever assumed (by exclusion of other common calf diseases) to be related to respiratory disease. These calves were randomly allocated to receive either the NSAID flunixin meglumine at 2 mg/kg administered by intramuscular injection daily for three consecutive days (group 1) or an antimicrobial gamithromycin at 6 mg/kg via a single subcutaneous injection (group 2). For both groups treatment started when the flashing tag was observed. 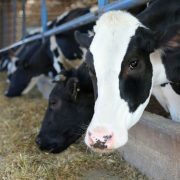 If signs of acute pneumonia developed in group 1 after 24 hours, or if the FeverTag was still indicating continuous fever after 72 hours, then the calves were given gamithromycin at 6 mg/kg via a single subcutaneous injection. In group 2, signs of acute pneumonia after 24 hours, or continuous flashing of the tag after 72 hours, resulted in NSAID treatment with flunixin meglumine at 2 mg/kg administered by intramuscular injection daily for three consecutive days. Fever for up to 72 hours without clinical disease was deemed tolerable. A repeat case of fever was defined as a temperature of ≥ 39.7°C for six hours detected at least 10 days after the last treatment given. Calves were weighed at birth and weaning using a calf weigh scale. Results showed calves in treatment group 1 (NSAID) were 5 times more likely to require additional antimicrobial treatment to resolve fever compared to group 2 (antimicrobial) which had a 64.7% rate of resolution of fever. However 25.7% of calves in group 1 did recover following NSAID treatment alone. The antimicrobial group were less likely to require the second additional treatment. There was no significant difference in daily weight gain between the two groups. The authors acknowledge that the lack of a definite diagnosis was a limitation of the study as this would have allowed more robust conclusions to be drawn. 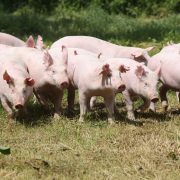 The results of this study show that with early detection, and continuous monitoring, NSAIDs may have a role to play in the reduction of antimicrobial treatment of calf pneumonia as indicated by fever. 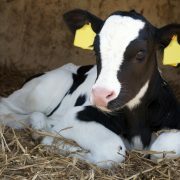 The FeverTag gives one way of introducing the necessary real-time monitoring required to detect initial signs of fever, though combining it with other calf monitoring tools would be beneficial as that would enable a more sensitive diagnosis.